Looking for the best forex books or best trading books in general? Is there a whole bunch of great reads out there and you can’t make up your mind? In this article, we are going to take a look at the best trading, forex trading books and day trading books. Education and training are the two most important factors that all forex traders need to focus on in order to become successful at forex trading. If you don’t educate yourself on the forex market and efficient trading, you can’t expect to make any real money. To help with this issue, all forex brokers offer educational programs with videos, tutorials, and forex trading ebooks that you can easily access through their websites. However, in our opinion, not all brokers offer information that is comprehensive enough. In order to learn as much as possible, you will have to search for information outside of your broker’s library. Looking for the best books on trading Lets get started. Below is our top list, for brief introductions to the books please keep reading this article. Hundreds, if not thousands, of trading ebooks and books, have been written about forex trading and we strongly recommend that you read as many as you can. Don’t forget that there is no such thing as bad knowledge, especially not when it comes to trading. To help you get started we have recommended some of the best and most important books on the market right now. Most of these books can be bought through Amazon.com but if it’s a trading ebook it can sometimes also be downloaded as a PDF. If you are looking to get started with a forex broker we recommend that you read our Plus500 review, Etoro review or IQ Option review first. The first three forex trading books we’ll mention are the ones we would recommend to anyone who’s interested in trading with currencies. They are not necessarily the latest publications or the most detailed strategy books, but they will give you a greater understanding of the forex market and how to best use it for your own gains. If you could only read three books about forex trading these three are should be it. The three above mentioned trading books are all quite advanced and should be a part of everyone’s must-read list. However, the three following books are better suited for beginners who are looking to get a better basic understanding of the forex market. Currency Trading for Dummies by Brian Dolan, Kathleen Brooks, and Mark Galant. 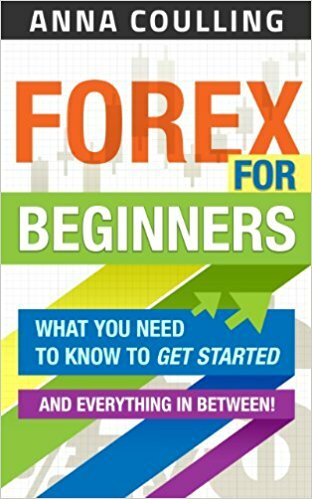 This forex trading book is a part of the renowned “for Dummies” book series and should be the first book you read before you start trading currencies. It covers all the basic information and will prepare you for the lucrative FX market. How to Make a Living Trading Foreign Exchange by Courtney Smith is a great introduction to all the basic aspects of currency trading. It also comes with important tips for risk management – something all traders need to practice. Forex for Beginners by Anna Coulling offers a comprehensive insight of the forex market without promises of huge profits and 100% successful trade rates. It is a perfect trading book for beginners but can also be used by more experienced traders that need to refresh their knowledge. We have also included a list of Amazon’s top three selling trading books at the moment to give you an idea of what trading books are popular right now. High Probability Trading Strategies: Entry to Exit Tactics for the Forex, Futures, and Stock Markets by Robert C. Miner. As the title explains this book encompasses more than just forex trading but it is still a great read for forex traders. Mr. Miner is a well-known trader that wrote this book to help traders become more confident in the decisions they make on the market. It is currently the number 1 selling trading book on Amazon.com. The New Sell and Sell Short: How To Take Profits, Cut Losses, and Benefit from Price Declines by Alexander Elder. This is an amazing book that focuses on all forms of trading (the stock market in particular) and offers good tips on how to minimize loss in all markets. By reading this book, you can ensure that you’ll never lose too much money, even if you’re trading stocks, currencies, or commodities. Many traders prefer to read ebooks instead of paperbacks since forex trading is done over the Internet. Therefore, we are also recommending three forex trading ebooks that we think every trader should read. Note that all major forex brokers offer their own forex ebooks as a part of their educational material. Thus, we recommend that you take a close look at what your preferred broker offers. Candlestick for Support and Resistance is a free forex trading ebook that offers a quick overview of Candlestick strategies. Six Forces of Forex by Scott Owens offers a comprehensive guide to everything related to forex trading. This ebook is only 15 pages long but contains some extremely valuable information. How to Trade a Currency Fund is another interesting read that covers everything from why people trade to how you can start trading currency pairs on a professional level. As a little bonus to all our readers, we thought we could offer a few recommendations when it comes to books about cryptocurrencies and how to trade with them. Due to cryptocurrencies digital nature most of these books are ebooks that you can either download online as a PDF or buy from Amazon for your Kindle. Bitcoin: The Ultimate Guide to the World of Bitcoin, Bitcoin Mining, Bitcoin Investing, Blockchain Technology, Cryptocurrency by Ikuya Takashima. 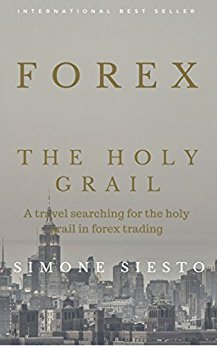 This trading ebook is like the bible of Bitcoin books. It is the most comprehensive and interesting book that has been written on the subject to this day, and a necessity for anyone looking to invest in Bitcoins. Ethereum: Ultimate Guide to Blockchain Technology, Cryptocurrency and Investing in Ethereum (Digital Currency Book 2) by Matthew Connor contains everything you could possibly learn about Bitcoin’s biggest competitor – Ethereum. Bitcoin and Cryptocurrency Technologies: A Comprehensive Introduction by Arvind Narayana, Joseph Bonneau, Edward Felten, Andrew Miller and Steven Goldfeder. This book offers a comprehensive introduction to the often misunderstood technologies that control all digital currencies. The focus is primarily on Bitcoin but there is also plenty of information about other cryptocurrencies and blockchains. Who is the author? Is he well recognized within the finance community? Are there any reviews available for the forex book? are they good or bad? Is the information objectively written or is it marketing material for a broker? If you did not have enough already, as a bonus, we will also list our top 11 trading books. These have helped us through dark times and we hope they will be of assistance to you as well. If we could only recommend reading one book it would be the Market Wizard or to be more precise the updated version called the New Market Wizard. They say the best way of learning how to trade stocks is to learn from others and this book does that and so much more. Jack Schwager has interviewed some of the best and most effective stock traders of all time and collected all their combined knowledge about the market in a book. It’s highly quotable, well written, and incredibly inspiring to read. There are a few differences between the old version and the new one, and we suggest you read them both. Although, if you can only read one of them you should opt for the latest one. The Intelligent Investor is an epic book for anyone who wants to learn more about trading principles and how to best approach the market. Just don’t expect to get tips on how to pick the best stocks – if that is what you’re looking for we recommend reading Graham’s “Security Analysis” instead. O’Neil is the founder of the CANSLIM system, and he has outlined the method in this classic trading book. If you’re a beginner looking to start trading stocks and want to learn more about both technical and fundamental stock analysis, then this book is for you. In fact, we advise you to read this book before you even start trading since it will teach you the most basic systems for stock picking. To become really successful as a trader you need to be able to handle your own trading and more importantly do your own analytic work. If you don’t you will be following others and the people you follow will always do better than you, that’s just how things work. By reading “Trade Your Way To Financial Freedom” you will learn everything needed to take your first steps towards independent trading. Tharp has created an incredibly detailed book that covers everything from charting to leverage, and his own proven and tested 17-step model. It also features interviews with some of the markets highest performers and it is a must-read for every stock trader out there. Jesse Livermore is one of the best and most famous stock traders to have ever traded in the Western world. He was active in the early 1900’s and has inspired thousands of traders after him. Livermore also became one of the most famous short traders of all time after he made billions of dollars (in today’s value) from the 1907 and 1929 market crashes. What is even more impressive is that Livermore lost all of his fortunes and was forced to declare bankruptcy more than once in his life. And each time he managed to build his fortunes back up in a matter of years. Amazing Life of Jesse Livermore: World’s Greatest Stock Trader is the best biography that has been written about this legendary trader and possibly one of the most inspiring trading books to ever have been published. This is a fictional novel inspired by Jesse Livermore’s life, and it’s a true page turner from page one. It follows the inspirational journey of a young boy (Livermore started trading at the age of 14) from poverty to extreme wealth and all of the hardships in between. Some would argue and say that this is better than the Amazing Life of Jesse Livermore, but we would recommend that you read both. Philip Fisher is one of the most influential stock traders of the past hundred years and his techniques and strategies are still relevant today, many decades after he first created them. Fisher based most of his investments on a company’s ability to grow and increase production and revenue, and that is exactly what this book is about. Common Stocks and Uncommon Profits will teach you how to evaluate a company’s ability to grow in order to only invest in the stocks with the highest possible potential. Fisher’s book has been used as a stock analysis manual by thousands of traders from all over the world, and all the examples and lessons in the book have been proven to produce excellent results. A highly controversial book that has gained a lot of popularity due to its alternative way of looking at the stock market is A Random Walk Down Wall Street. In essence, Malkiel suggests that the stock market isn’t following any pattern but is instead highly random and that you can never win. Malkiel is a Princeton economist, and the book is based on a large selection of studies and research material that helps back his hypothesis. The beauty of this book is that it describes some of the most popular charting methods and analytic strategies before Malkiel continues to outline why they don’t work. Because of this, you can learn a lot about how to analyze the stock market whether you agree with the author’s standpoint or not. By sharing most of the letters that he sent to his shareholders during the last few decades while also providing comments on the letters, Warren Buffett discusses the principles behind his investment strategies. Would you like to learn to trade from one of the best in the industry? Then this book is for you. This bestseller provides an array of useful investment lessons that you can apply to your stock trading strategies but also on other markets. In addition, Bogel has written another popular trading book called “Common Sense on Mutual Funds”. Maximize your charting skills with this detailed encyclopedia covering every chart and analytic method you could ever wish to know. As you might imagine, it’s a heavy read that you need to take your time with. There is no point in rushing it and for the people that manage to master what Bulkowski is sharing, the sky will be the limit. Honestly, the shared knowledge kept in this book is incredible, and there is no other source of useful information that is as comprehensive as this book. Read it. Then read it again. Then start applying Bulkowski’s lessons and you will start to see immediate results. 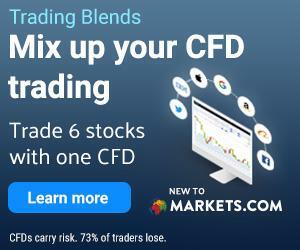 Find the best CFD-Broker here.